The event theme for this edition will have a complete look and feel of a Cyberpunk Universe with elements of artificial Intelligence, future Utopia, cybernetics employed. After launching the debut edition in Vagator, Goa on 27th - 29th of December, multi-genre music festival is on the move. 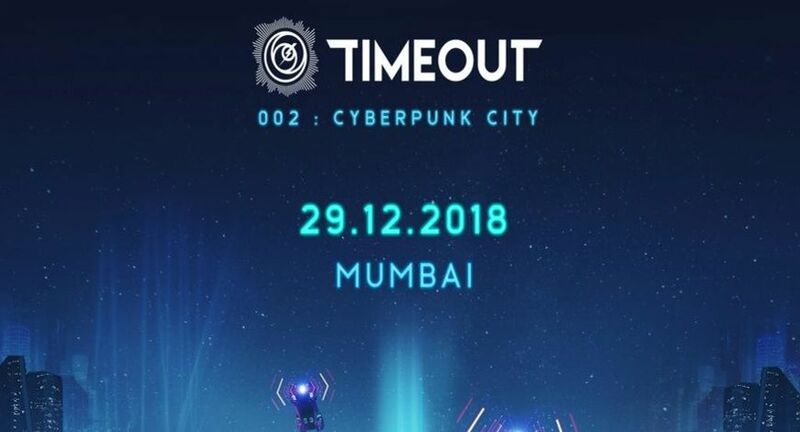 The organizers, Timeout Global Entertainment have announced that the 2nd edition of Timeout will take place in Mumbai as a single day Arena show on the 29th of December 2018. Moving away from the multiple days and stages concept, the festival this year will embrace a boutique arena format as a run up to a multiple day festival to be hosted next year. Drawing inspiration from the future, the event theme for this edition will have a complete look and feel of a Cyberpunk Universe with elements of artificial Intelligence, future Utopia, cybernetics employed. This 2nd edition will be named as 'Timeout 002: Cyberpunk City'. Well if we have to put it down in a layman’s language, movies like Bladerunner 2049, Netflix's Altered Carbon best describe the theme! Last year the festival saw stellar acts like Martin Garixx, Wiz Khalifa, Jason Derulo, and packed a punch with its programming, production and partnerships.